Boreal forest trees are highly dependent on root-colonizing mycorrhizal fungi. Since the maintenance of mycorrhizal symbiosis implies a significant carbon cost for the host plant, the loss of photosynthetic leaf area due to herbivory is expected to reduce the host investment in mycorrhizae. We tested this hypothesis in a common garden experiment by exposing ectomycorrhizal white birch (Betula pubescens Ehrh.) seedlings to simulated insect defoliation of 50 or 100% intensity during either the previous or the current summer or repeatedly during both seasons before harvest. The shoot and root growth of the seedlings were distinctly reduced by both 100% defoliation and repeated 50% defoliation, and they were more strongly affected by previous-year than current-year defoliation. The root to shoot ratio significantly decreased after 100% defoliation, indicating reduced proportional allocation to the roots. Ergosterol concentration (i.e. fungal biomass) in the fine roots decreased by 100% defoliation conducted either in the year of harvest or in both years. No such decrease occurred following the 100% defoliation conducted in the previous year, indicating the importance of current photosynthates for fungal symbionts. The trend was similar in the colonization percentage of thick-mantled mycorrhizae in the roots, the most marked decline occurring in the repeatedly defoliated seedlings. The present results thus support the prediction that the plant investment in ectomycorrhizae may decline as a response to foliage loss. 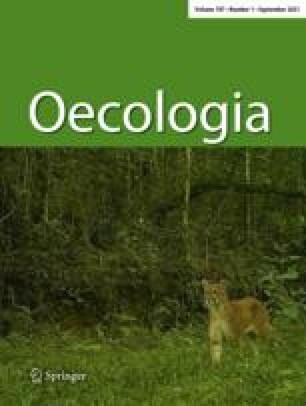 Moreover, the colonization percentage of thick-mantled mycorrhizae correlated positively with the ratio of leaf to heterotrophic plant biomass in the defoliated birch seedlings, but not in the control ones. This tends to indicate a stronger carbon limitation of ectomycorrhizal colonization in defoliated seedlings. The personnel at the Botanical Garden of University of Oulu are warmly thanked for providing facilities and help during the experiment. We are grateful to Dr. Ulla Ahonen-Jonnarth and two anonymous reviewers for their valuable comments on the manuscript. Cristina Torres Rosell is acknowledged for conducting the colonization assessments on the white birch roots. We also thank Sirkka-Liisa Leinonen for revising the language of the manuscript. The study was financially supported by The Academy of Finland (Nos. 40951 and 157685), The Finnish Foundation for Natural Resources, The Oskar Öflund Foundation, The Finnish Union of Concordia and The Kone Foundation.